He can change diapers, & She can get the car fixed. Once upon a time, men used to go out at the break of dawn. Into the jungle. With their crude weapons. In groups. They would play predator and prey, and come back with their game, proudly guffawing in happiness at the lamb or deer they had hunted. On return, they would hand it over to the women after slaughtering and butchering it. The women, who had basically been tending to the children and waiting all day for the men to return all day. They’d all happily share it, and go to sleep. And the next day would be the same. Simple times. Innocent times. Not so anymore. As humanity progressed, people started to need more out of life. Every subsequent generation complicated life a little further. And complicating things is not necessarily a bad thing, and is a natural part of human progression. So the demands of modern life increased. Consumerism made us want more. Happiness began to be associated with “things”. Both men and women now needed more out of life. For men, the thrill of the chase became focused at more than one goat or lamb. They needed achievements that show how well they had done in the big bad world of cut throat competition. The houses, cars, trips abroad, kids in elite schools, a beautiful wife. All these wants are today needs. Women, of course, also simultaneously evolved. More ambitious, more driven, more consciously aware of what all it entails to be socially successful. Even if you don’t have it all, you at least strive for it. The world has changed. We all strive for a better quality of life. And for that, in a growing number of cases, one pay cheque is is simply not enough. Thus, the working woman makes an entry into the world. She may be working in the fields picking cotton. She may be working as house help. She may be working in a textile factory. She may be a teacher, or a woman working in a salon, or a female actor. Or a banker or a doctor or an executive. Or she may be a journalist. But the fact remains that the working woman has arrived. Women are natural born multi-taskers. They can take care of a lot more things simultaneously compared to men. And modern lifestyles are making her use this natural skill to the fullest. 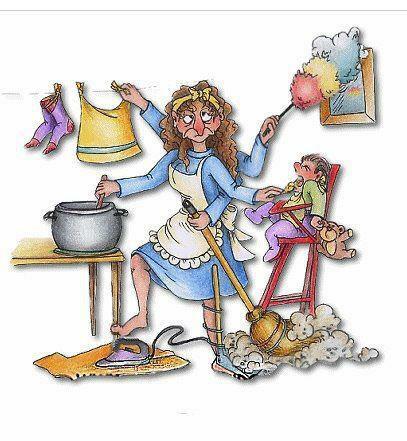 Even if a woman is not a working woman, she is juggling so many balls of responsibilities, it is not even funny. Ask any XYZ urban woman of Pakistan, and she will confess that she is doing so much with her life. She is giving birth to kids, feeding them, weaning them. If they are a bit grown up, chances are that a major chunk of her time is spent on the road, picking and dropping them from school or tuition. She buys groceries. She goes to the bank for work like utility bills. She monitors the domestic staff and makes sure everything is clean right from the kitchen counters to the cupboards. She cooks, even if she has help, as her family likes that. She has to give time to her own parents and her husband’s. In addition, she must look good, so add to the list the endless trips to the tailor and the shopping sprees, and the aerobics and the trips to the salon. And she has to be a contributing member of society so chances are that she is part of some sort of social welfare activity. She entertains and socializes. She is also a counselor or a therapist to her sisters, her friends, her children, and her testosterone-fueled husband who needs loads of attention. On top of it all, she even drives! Because no driver in Pakistan today is willing to charge less than 10 k.
And on top of it all, IF she is a working woman, she also goes to work and pools into the family’s money pool! Perhaps one of the MOST irritating questions to a woman is “so what do you do”? Even if she is not bringing in money to the table, she IS a working woman. We all are. In defence of the men, their roles are also less simple compared to what they used to be. Their work hours are longer. The driving conditions are horrendous and it takes them often hours to get home. The work stress is not just physical anymore, unlike the stone age. The public relationing, the staying on top of the game, the making sure that he does not lose his job in these times of unstable economic conditions world over. And the joyous pain of having better halves who are much more aware, awakened and in some ways more demanding than their counterparts of 50 years ago – life is not easy for anyone. Coming to the real point of this blog. The pertinent question here would be: What is the problem with both men and women exchanging and sharing their over-lapping roles in today’s world that is forever in a state of flux anyways? I hope I am not misunderstood here as an angry feminist who feels that all men are out there to take advantage of women by making them slave. And I hope I am not thought as someone who sees a problem with a woman being a woman and a man being a man. I enjoy the whole routine of cooking and cleaning and looking good and being a mom. 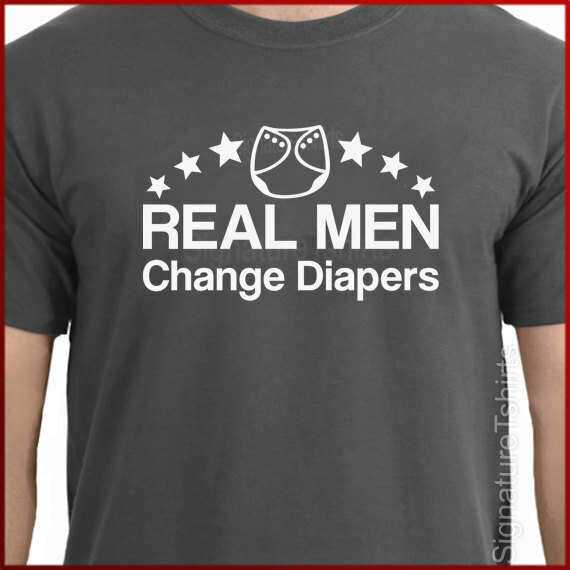 I also do not have issues with the traditional gender roles. But I am realistic in realizing that over-lapping and sharing of responsibilities in the genders is a reality. 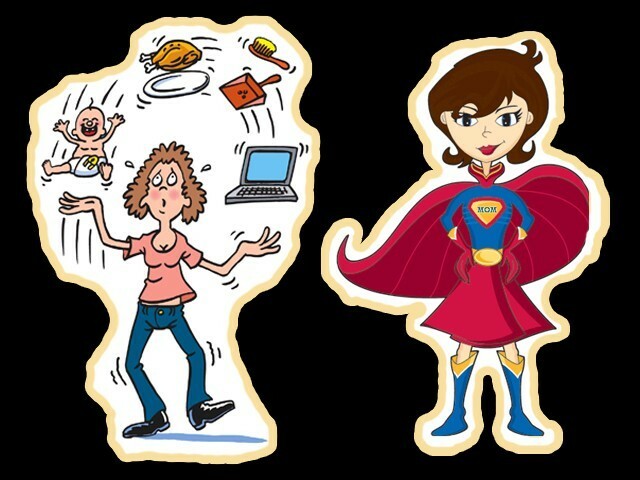 The problem arises when “she” is expected to be super human and do it all, in addition to earning. Or he is expected to earn enough to cater to all the ever-increasing financial demands. To me, the problem arises when changing the baby’s diaper, making coffee for both of them after dinner or cooking is off limits for him. Or if she thinks that by driving or paying the bills, her femininity is being challenged or compromised. The problem for me is when, if he is taking care of the house and kids in a time period when she is preparing for her post-graduate medical studies, eye brows are raised. The problem for me is when, if she is the secondary contributor to the financial needs of the home, he is made to feel less of a man. Balance is the name of the game. If they both can negotiate on responsibilities, and come to a mutual understanding, life is wonderful. A couple is a team. In every possible sense of the word. They complement each other. Together they make up the whole. Alone, they are parts. In unison, they complete and bring together a home. And for that, if she sits behind the steering wheel and he sits in the passenger seat, or if he washes the dishes on a Sunday morning while she goes through the newspaper, so be it. Posted in Just Like That, Women and tagged feminist, gender roles, he can change diapers, traditional gender roles, working women. Bookmark the permalink. In the bustling metropolis we call Karachi, the following scenario is ever-so common: a young woman, somewhere in her 30s, living alone in one of the umpteen apartment buildings that have mushroomed across the city in the past few decades. This woman may be sharing her apartment with a friend. This woman may be living in a hostel or a portion of a house. She does her own grocery, pays her own bills, works 9 to 7 and still manages to socialise with friends at work. Friends are exceedingly important to her because her family does not live in the city. This woman is one of the breed of ambitious career women of Pakistan who have chosen to move cities for purely work reasons. She is confident, independent and a go-getter. And she means business. Yet, today, somewhere in 2010, work opportunities available to women are much more compared to the 1990s. This in a country where formerly only women of the lower social strata were more actively involved in the economic process and affluent women were basically homemakers. Times are definitely changing. Economic pressures, the desire for better quality of life and inflation make one pay cheque per household a less than ideal proposition. The dissolution of extended families in urban areas has made it all the more imperative for women to join the workforce. In addition, the woman of today is much better educated and has had much more exposure compared to her counterparts some two decades ago. Hence, she is more committed to her career, and willing to step-out of the safety net of her parents’ home and city. Ironically, in the big bad world of the ‘unsafe’ Pakistan that we live in today, more and more women decide that they can and will live alone away from their hometowns and families if their work demands it. Particularly in the corporate sectors, such moves are very common. And the move is not always to bigger cities. A Lahori female executive may move to Rahimyar Khan where her multinational company has a complete setup, for that is required for her to do in order to step up the corporate ladder. 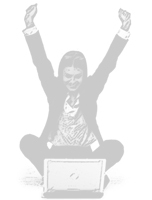 In certain situations, women may even move abroad if a good job opportunity comes up. Dubai, the Far-East and the USA remain popular choices for women who want to respond to their professional calling. When Sadia Qureshi, poet, writer and anchorperson got an option between Multan and Lahore, she chose to move to Lahore for her career. “I am from the Seraiki belt and saw hurdles for a girl in moving forward in Multan. My elder brother was then posted in Muzaffargarh, 25 kms from Multan and he also thought it would be better if I went to Multan but I wanted to work in a big set-up, in a big city,” says Qureshi with clarity. “Lahore was not new to me but working here was new. There were many challenges. Initially, I stayed with a cousin in a hospital’s hostel. Soon I moved to APWA hostel where I stayed for four years. At the hostel, I got the most difficult girl as roommate and found aged women quite hostile. I felt quite vulnerable because of living in a hostel. I had extended family in the city but I didn’t want to stay with anyone. It would have been stifling,” says Qureshi, shedding more light on the dilemmas of women staying away from home. She recalls how at the hostel there was a girl from Multan whose parents, who were illiterate, would bring in a match for her every other month, sometimes to the hostel and sometimes to her office. “She was a girl belonging to two different worlds.” Qureshi’s comment is true for numerous Pakistani women, though gaining economic and social independence, still remain inextricably tied to their backgrounds. Living on your own in the Pakistani society has certain taboos involved. People assume a lot about a girl who migrates from her hometown for job reasons. The biggest assumption is that for this girl, her career is more important than her family, and after marriage she will not be able to endure the compromises that are a prerequisite for a stable marriage. Yet, encouragingly, there is a simultaneously growing breed of men who respect and understand their fiancé’s or wife’s ambitiousness and are willing to sometimes shift from their hometown because the wife’s career is demanding her to make that move. Living on one’s own has definite advantages. You are taken more seriously by your bosses for one, and the senior management respects a girl who takes her career seriously. On a lighter note, you have more uninterrupted “me-time”, you have solo control of the tv remote and your routine revolves around you. You can keep your home as you like, make friends of your choice, read till late hours of the morning and stay in bed all Sunday. It can be an enriching experience in which you learn to handle things yourself. The flip side of the coin, however, is that you are in a danger of becoming an isolationist permanently. You may become so used to independent living that once you move back with your parents, you don’t know how to adjust in combined family living. When you are unwell and down in the dumps, nostalgia about moments spent with your family can kill you. Yet, once in your life, if you get a chance, moving a city and living alone to pursue your career is a chance one should take. You grow as a person, and your career could grow with leaps and bounds as well. 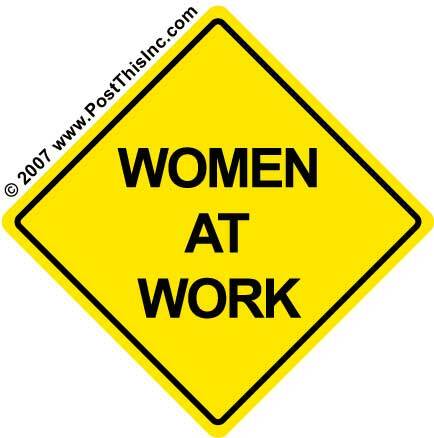 Posted in Women and tagged working woman, working women. Bookmark the permalink.